Algordanza Memorial diamonds are made Purely from Ashes - with NO other additives. Please read the following useful information of what you need to know and click on the related links for more detailed explanations. Natural diamonds are formed by high temperature and pressures on carbon in areas deep underground. A memorial diamond is formed by the carbon extracted from cremation ashes and subjected to laboratory controlled high temperature and pressure environments. The resulting synthetic diamond is as hard and brilliant as a natural gemstone, and is backed with a diamond guarantee certificate. We only use carbon from the cremated ashes with NO additional additives from foreign sources. 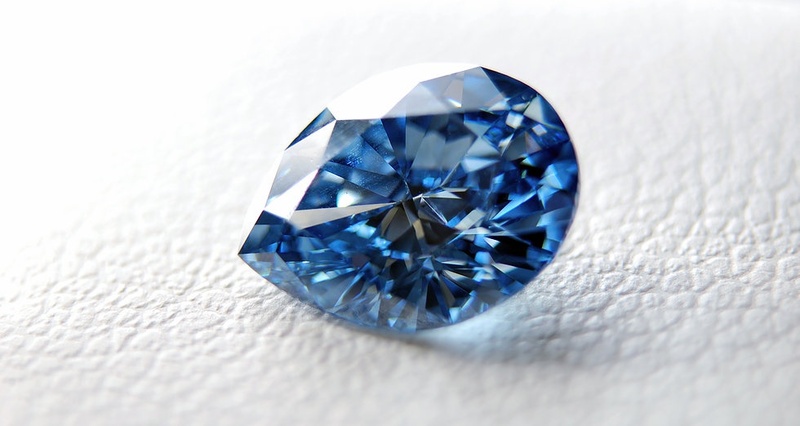 Natural "bluish" colored memorial diamonds that are determined by composition of ashes. 0.2 Ct to 1.0 Ct - there are 9 sizes on offer. Larger sizes available upon special request. Several cuts are available, but for maximum brilliance, the full round brilliant cut is recommended. 80% of Algordanza memorial diamonds are VS1 or above. The natural color ranges from light blue to intense blue and is influenced by the composition of the ashes. In response to popular demand, we have begun to offer alternate cuts of diamond. A little rough, it results in the form of the diamond pictured here on the right that can be just as easily mounted into jewelry like other cut diamonds. In this most pure form, your loved one may rest. Every Raw diamond is unique in shape and takes the natural form from synthesis without major alteration from light polishing. 「Rough cut」nature of the diamond will be different for every single finished shape and size! Surface irregularities, marks and inclusions that are normally removed during the original cut and polishing operation may be present. Raw diamonds are still polished and shaped to some extent, but we keep this to a minimum. If third party certification is required, it is still possible but through the GEMlab and not through GIA who do not offer this service for raw diamonds. Diamond grading for raw diamonds however, it not offered by any lab. 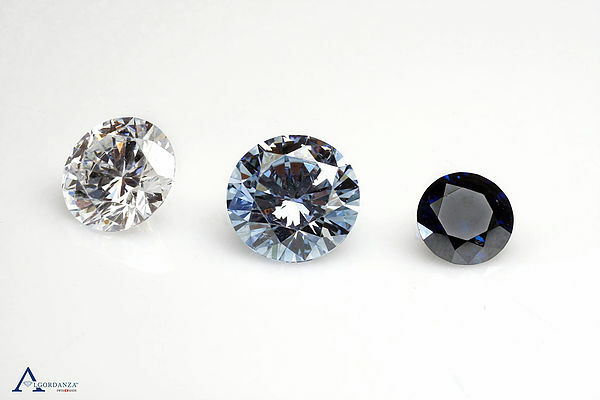 If you choose to have your raw diamond cut at a later stage, it is not recommended and we offer not these services. If you chose to cut on your own accord, Algordanza will not be held responsible for any potential damages to the memorial diamond. Raw diamonds cannot be laser engraved like cut diamonds. You can put your trust in our service. Algordanza is a trustworthy and discreet service provider. Our process ensures the utmost respect to the remains of the deceased. Worldwide we are the only certified producer of Memorial Diamonds. We are committed to caution and transparency. We produce the ALGORDANZA Memorial Diamonds with utmost caution and precision. We document our rigorous quality control with the ALGORDANZA certificate and guarantee authenticity, weight, cut, color and the origin of the Memorial Diamond having been created from the delivered cremation ashes. Member the Swiss Association of Funeral Services. Moreover, we commit voluntary to the standards of the Swiss, German and Austrian funeral homes. DIN EN ISO 9001:2008 certified in the fields of funeral services and diamond burial (memorial diamonds). To make any size memorial diamond of up to 1 carat in size, we normally request at least 400g of ashes split into 2 separate air tight bags. 400g is equivalent to 2 small water cups. On average, a cremation ashes diamond will arrive in Hong Kong in about six months. However, the production period is dependent on the size of the request. Ashes are transported to Switzerland. A check of whether sufficient carbon is available is performed. Carbon is extracted from the ashes. Carbon is converted to graphite. High Pressure and High Temperature method is applied to graphite. Diamond is Cut to selected shape. Certification, delivery and (optional) mounted onto jewelry. ALGORDANZA assigned a notary to accompany the diamond transformation from the reception of the remains to the confirmation of a gemologist (gemstone specialist). Thus, we are able to provide you a notarial verification of work with a certified and serious partner. If you would like more information about Algordanza Hong Kong, call us on 2895 2254. Memorial diamond size reference table.